Water damage Coronado risks range from a simple pipe leak to sea water flood. Fortunately at 911 Restoration of San Diego, we provide all types of water damage restoration services. There is no job too big or too small for us, because our client’s concern is always of importance to us. We pride ourselves on being a local, family owned company. 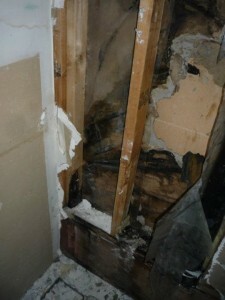 This allows us speed and flexibility in providing you with the best water damage Coronado services. Our number (858) 216-2488 is available 24/7 including holidays to take your emergency call. As soon as you reach a representative, you will be transferred to a local project manager closest to your address and set up a time that same day for an on-site inspection. Why can’t I wait a few days to contact a water damage Coronado professional? At 911 Restoration of San Diego we are all about providing you with the best service. Part of which includes keeping your restoration costs as low as possible. Most leaks occur not at the trap, or the visible PVC drain pipes where clogs happen. In fact, pipe leakage is often a behind-the-wall affair, meaning it will take a while before most homeowners can see the severity of the water damage. This is why water damage Coronado jobs typically last longer, because the amount of damage exceeds what the eyes can see. And that’s why a professional crew is your safest bet against water damage. Leaving water damage untreated can result in unsightly mold and weakening of your building materials, driving up the repair cost. How can I identify hidden water damage inside my home? The easiest way to reduce the cost of your bill is to spot early signs of water damage and take appropriate action. Sometimes the only sign is a small spot of dampness near the edge of the wall, so if you suspect that your home might be at risks, give our water damage Coronado team a call at (858) 216-2488 to schedule an inspection. We’ll be at the sight within 45 minutes. 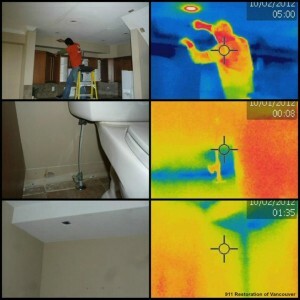 At 911 Restoration of San Diego we use infrared camera technology to locate exactly the extent and level of your damage. This also means we will not miss or leave behind any water damage inside your walls. When you call our water damage Coronado team, you can be certain that your problem will be taken care of promptly and thoroughly. Because we are a locally owned business, 911 Restoration of San Diego have great flexibility in pricing and a comprehensive package in services offered. We can help you with filing your insurance claim and walk you through the proper terminology in paperwork. Our office thrives upon giving you the best customer service. We believe our job is not finished until you completely resume your daily life without any water damage worry. If you looking for the best water damage Coronado professional, feel free to give us a call at (858) 216-2488.